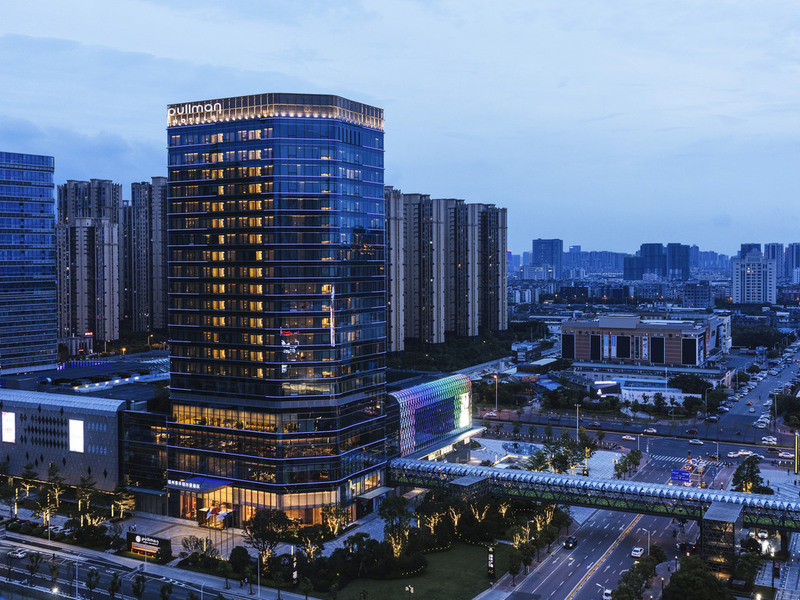 Pullman Fuzhou Tahoe is an upscale hotel located in Second East Ring Tahoe Plaza, adjacent to Second Ring and Third Ring. Its location is perfect for tourists looking to explore the city. Perfect for leisure and business travellers. Fuzhou is a tourist city in China. It features famous attractions such as Three Lanes and Seven Alleys and Mount Gu. Each room type is perfectly appointed with a unique and comfortable bed, separate soak bath, rainforest shower, Satellite TV, free broadband Internet access and views of the city. The restaurant serves a wide selection of authentic Teochew and Fujian cuisine. With 118 seats, 3 private rooms and 2 VIP rooms, it is perfect for celebrating family functions as well as entertaining corporate clients. Our All Day Dining restaurant has wonderful views of the city. It serves Chinese and International specialties for its breakfast buffet. Gourmet lunch buffet, themed dinner buffet, Western fusion à la carte menu and Children's menu are also available. Enjoy our afternoon tea as well as the wide variety of cocktails, wines, fine tea and other beverages. A great place to unwind or have business networking. The exquisite lounge is open to guests of our Superior Executive Room category and above.